Hi folks, here is my latest attempt at baking. 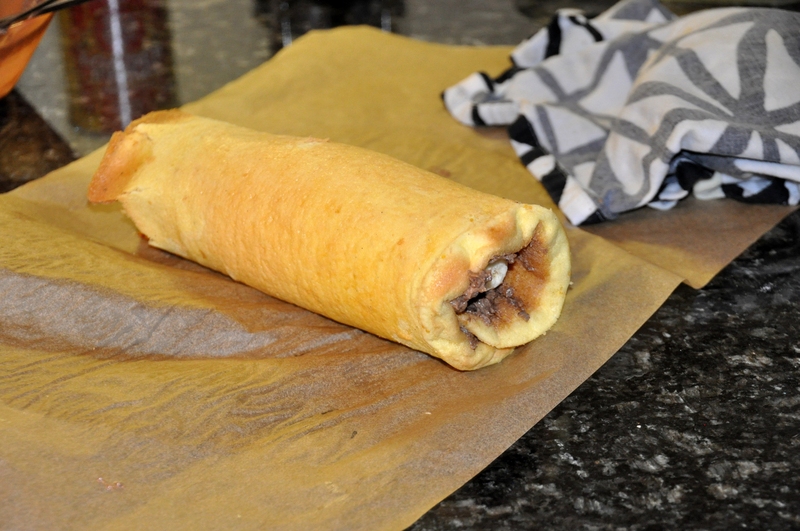 This time I made a banana roll (banánova roláda). Not perfect, but still quite tasty. The dough came out a bit gummy from the oven but it improved significantly in the fridge over night. Preheat the oven to 375F. 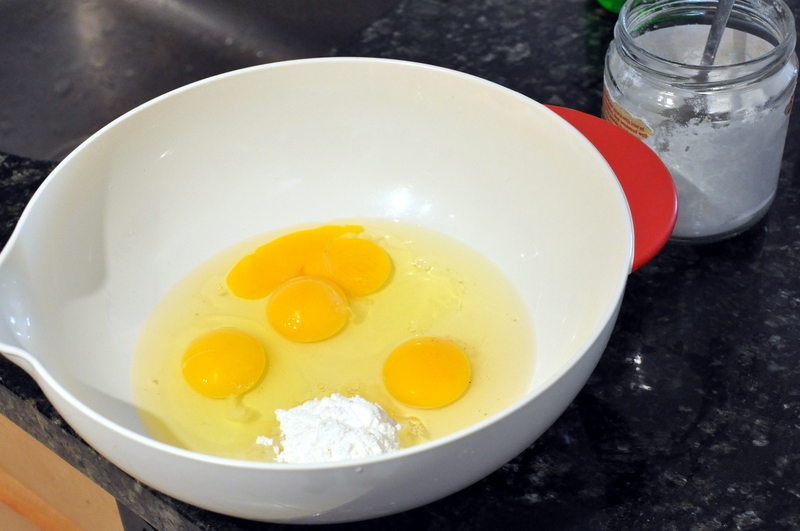 Whisk the eggs and the powdered sugar until you get a bubbly mixture. 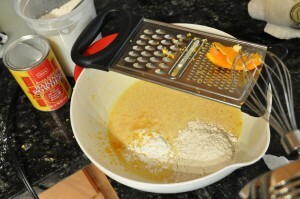 Then fold in baking powder and flour. Optionally, also grate in some lemon or orange zest. Line a baking pan with parchment paper and pour in the batter. It should be only few millimeters thick. Bake for about 15 minutes until ready (you can with a toothpick). 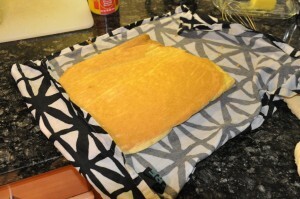 Once ready, take the dough out and place on a damp towel. 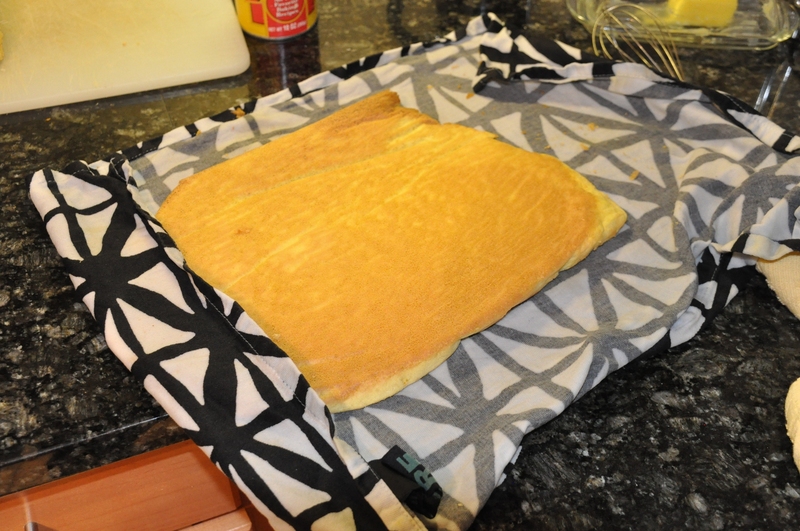 Fold the end of the towel over the dough. Roll it up like a wrap so the towel gets wrapped into the dough. 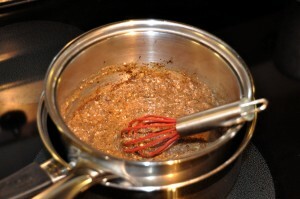 In the meantime, start preparing the cream in a double boiler (a pot sitting in a larger pot containing boiling water). Mix the egg, cocoa, and sugar. I also added a little bit of milk but this is up to you. Basically, do the cream to taste. You can also add some ground nuts. Ideally it would become creamy, but mine got some chunks in it, but these dissolved later so I wouldn’t worry about them too much. Place the cream in the fridge for few minutes to let it cool off. Next, cream the butter with an optional spoonful of sugar. 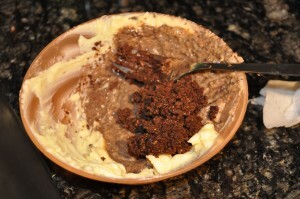 Once the other part has cooled off, blend it into the butter. 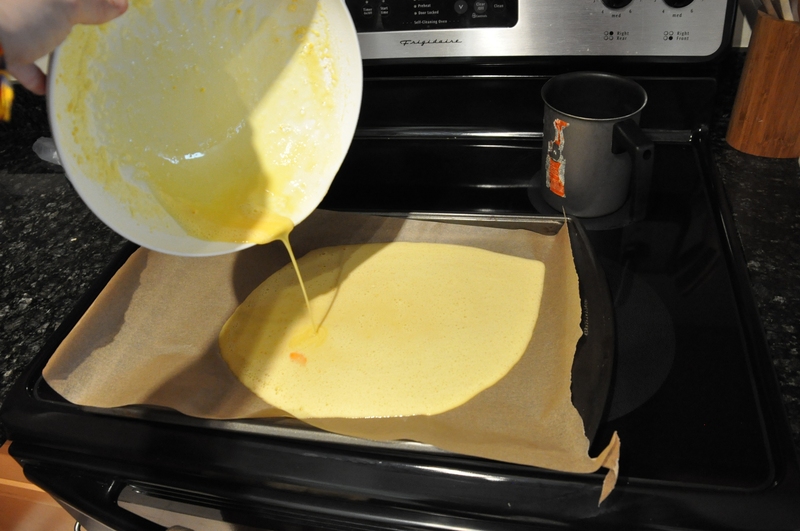 Then unroll the dough and spread the cream over it. Also add a banana on one end. Then roll it back up. 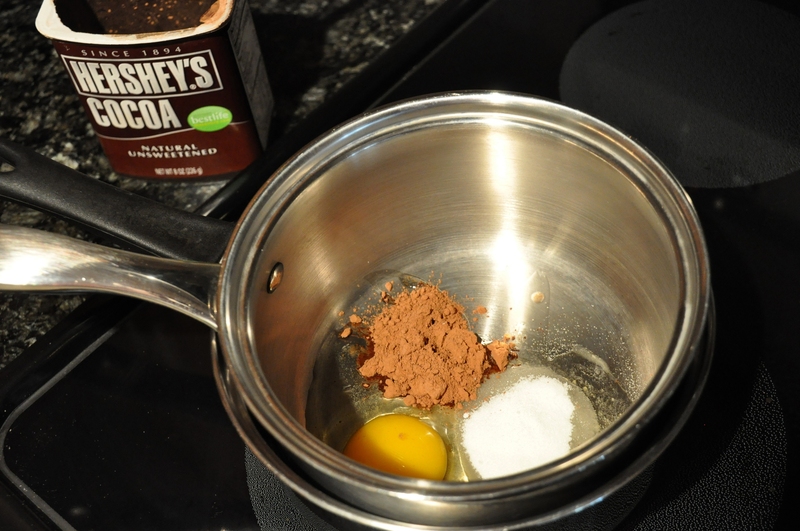 Finally, melt the chocolate and sugar in a double boiler and use it to top the cake. That’s it! Place in the fridge over night and enjoy the following day. 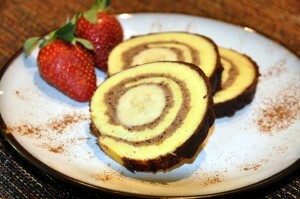 Bananas and chocolate my absolute favorite. Copied it and will try to attempt it. Thanks for a great blog. Lubos, congratulations, Bananova rolada, looks very good, and I’m sure it taste good too!! Just finished making this roll. It looks amazing. I haven’t been checking this site in a while, but as I am hosting Easter dinner, I needed some dessert inspiration and I knew exactly where to look first! This was really easy to make and the cream is really tasty (I won’t know what the whole thing tastes like until the family gets here). But I’m positive it will be great. If I could make 2 small suggestions…. 1. make some extra cream and coat the outside of the roll before putting on the chocolate glaze. 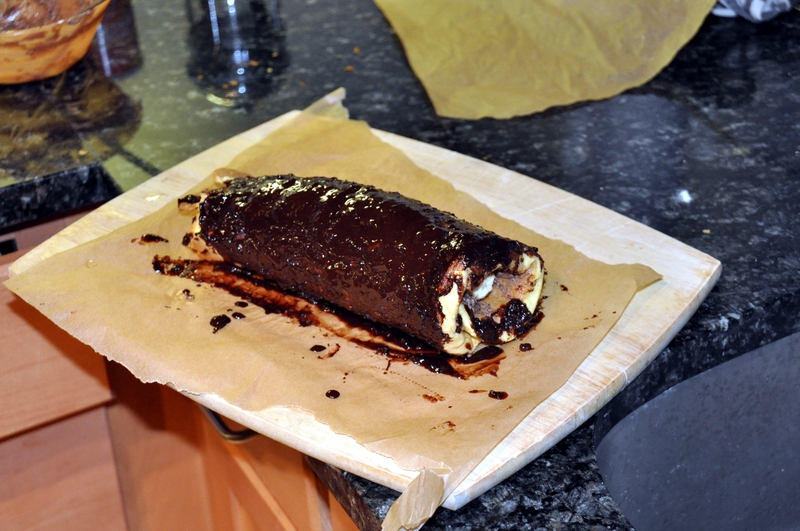 If you’re going to do that, I suggest cooling the roll in the fridge so that the chocolate glaze solidifies when applied over the cream (otherwise it will melt it off). 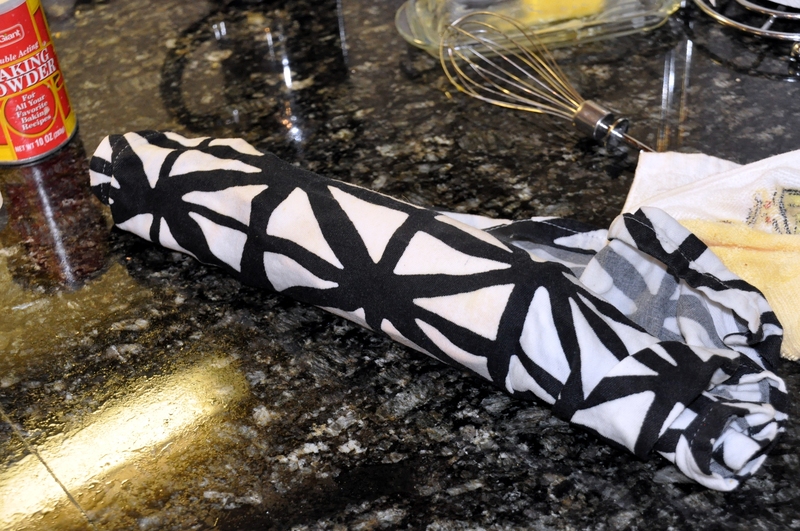 2. cut the ends off flush before applying the glaze so that roll looks “cleaner”. Both are optional, of course. Can’t wait to try it now! Thanks for the wonderful recipe. Long time follower, first time poster… first off, LOVE this banana roll. Much of the local population here is descended from Slovak immigrants that came over at the turn of the century. I stumbled on this site a while back looking for varieties of recipes I somewhat grew up with, and a deeper understanding of the cuisine and heritage. Thank you so much for your assistance and inspiration! Thanks Deb. As far as I know, people in Slovakia never make cakes or pies with pumpkin. It was a pretty strange concept for me to wrap my head around the first time I heard of a pumpkin pie, but honestly, they are quite delicious! Super! Skvelé recepty Luboš! Taktiež zdravím všetkých Američanov, som rád že sa tak zaujímate o našu kuchiňu! 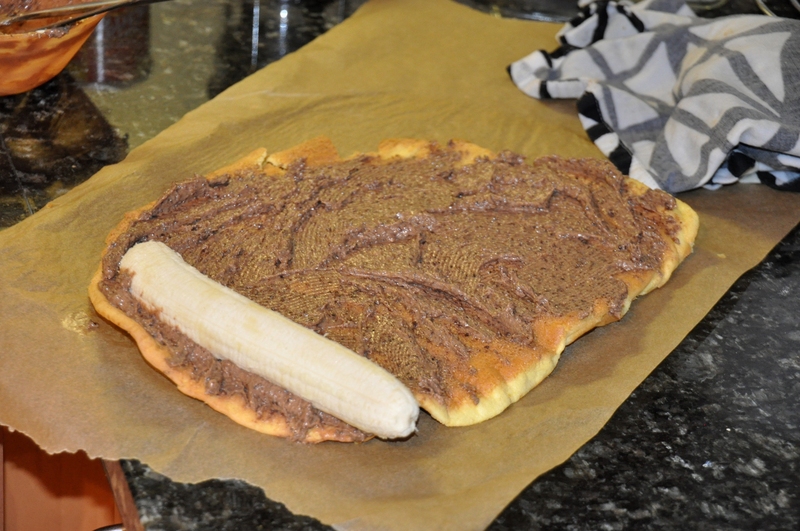 Snáď sa Ti ďalší recept podarí, Luboš! Taktiež ďakujem Alexovi za jeho skvelý interwiew z jeho výletu! Veselé varenie!